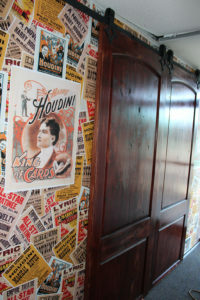 “The Houdini Escape” is one of the newest Navarre escape room games. You and your team must figure out the clues and puzzles in order to save the great Harry Houdini. The Houdini Escape is a fun escape room game to do with your friends and family whether you are a local or are on vacation. Call us today for more information about Navarre’s fun escape room. Check out our other escape rooms in Destin, Fort Walton Beach, Panama City, and Pensacola.